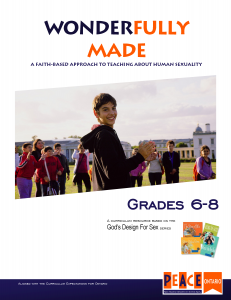 These materials have been written by educators to be used easily by both parents and teachers alike, and are designed to meet the Ontario Ministry of Education learning expectations. These resources and more can be ordered, in hard copy or digital format, through our Online Store. Each unit includes a letter you may use to communicate with the school. It requests that your child be allowed to complete the alternative unit in order to help your child meet the learning expectations while connecting to his or her faith. Complete the form and request a short meeting with your teacher (approx. 10 – 15 min).